Windows 10 has been released for the public for quite a while now. There were quite a few news regarding the security issues that Microsoft has implemented as “features”. Even though internet is full with these articles, many people still enable these features. You should be careful upgrading to Windows 10! By default Wi-Fi Sense is enabled, that is responsible for sharing you Wi-Fi passwords with you contacts on Skype, and Facebook. The basic idea behind this function was to let your friends use your home’s internet access when they visit you. At this point you should think though, if you would allow all of your Facebook “friends” use your internet access. You can turn this feature off if you don’t use express settings after installation, or at the settings if you have already done the upgrade. 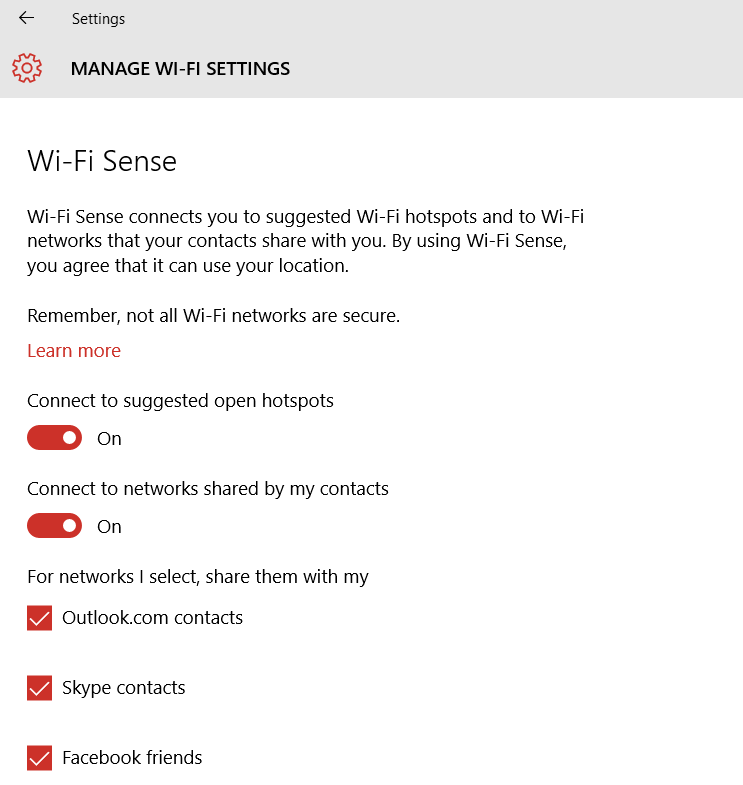 Wi-Fi Sense settings can be controlled from the Settings app. Select Network & Internet, select Wi-Fi, scroll down, and select Manage Wi-Fi Settings. Sharing Wi-Fi passwords has a huge security issue, as people can use your internet connection for crimes!